AV for You set up Audio and Video rental equipment for a Manny’s company meeting at the W Hotel in downtown Minneapolis. For audio rental equipment we used two QSC K10 powered speakers on stands, a Shure wireless handheld microphone and a Shure SCM-268 4 channel mixer. 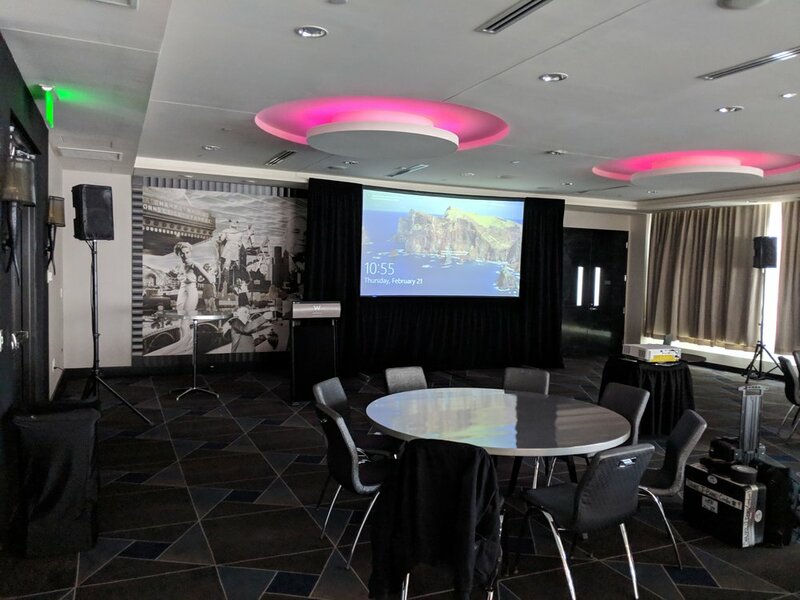 For video rental equipment we front projected our new NEC 5000 lumen Laser projector onto our Draper 5.75' x 10' fastfold screen.